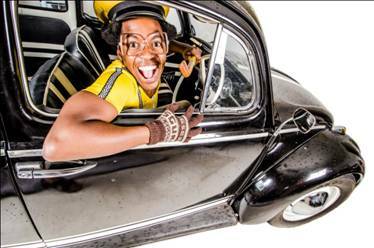 Xhosa rap genius, iFani, is truly a breath of fresh air to the industry from the time he dropped ‘Ewe’ to his latest chart topping single ‘Milli’. The Port Elizabethan MC is known for his hilarious, witty punchlines and high energy live performances. With a Bachelors degree in the sciences, he’s as strategic in his moves as he is intelligent with the wordplay, so what can fans expect to see when he takes to the stage at Maftown Heights for the first time? What are you looking forward to the most about performing at Maftown Heights this year? It’s my first time. I’m looking forward to the atmosphere, the crowd, the music, the vibe and of coz my own performance set. What do you think is the relevance of indigenous language in giving African Hip Hop a unique, exportable identity? Language is part of a human’s identity. Adding or creating music in your own language makes that music unique to your identity. So as an African rapper, like myself, vernac is part of my identity. It’s a huge part of what makes me African. Why should people come see you at Maftown Heights this year and what can they expect? My performance set is designed to entertain. If entertainment is what you need, then you must experience my set at least twice in your lifetime.Expect a guy who gives his best to what he enjoys the most. Eminem brings his Rapture tour to SA!